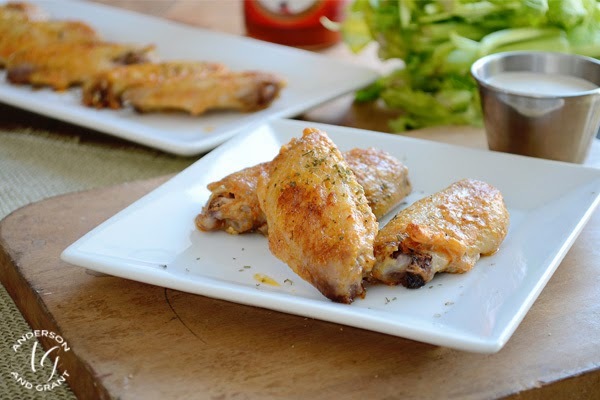 Just four ingredients are needed to make a mild buffalo hot sauce that adds some heat to chicken wings or ribs and develops a crispy coating as the meat continues to cook. While I know that there are many of you out there who probably LOVE anything done with a hot buffalo sauce, I'm not really a fan of a lot of heat. 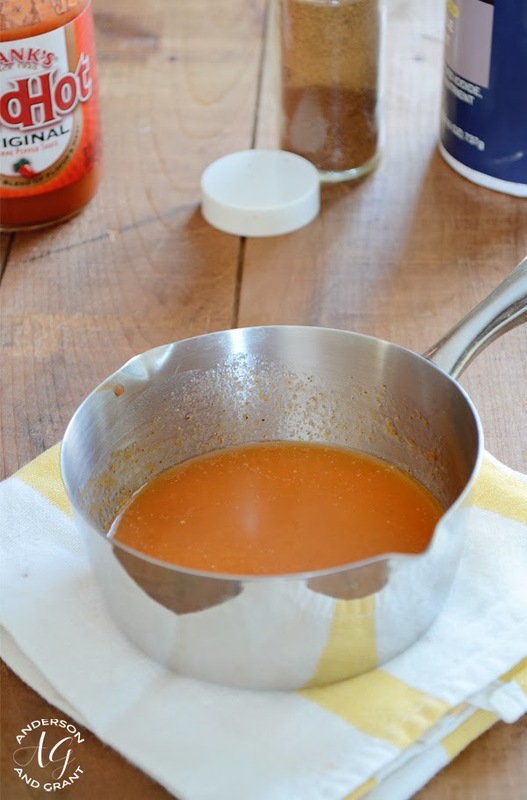 After a little mixing, though, I've come up with a recipe for a buffalo sauce that still has the flavor, but a little less of the bite. Typically I use this recipe on ribs and they turn out really delicious, but I thought I'd switch it up and try it on chicken wings. Who doesn't like wings!?!? The sauce is the same regardless of what meat you choose. You'll just have to make sure that you cook the meat until it is almost done cooking before laying on the sauce. 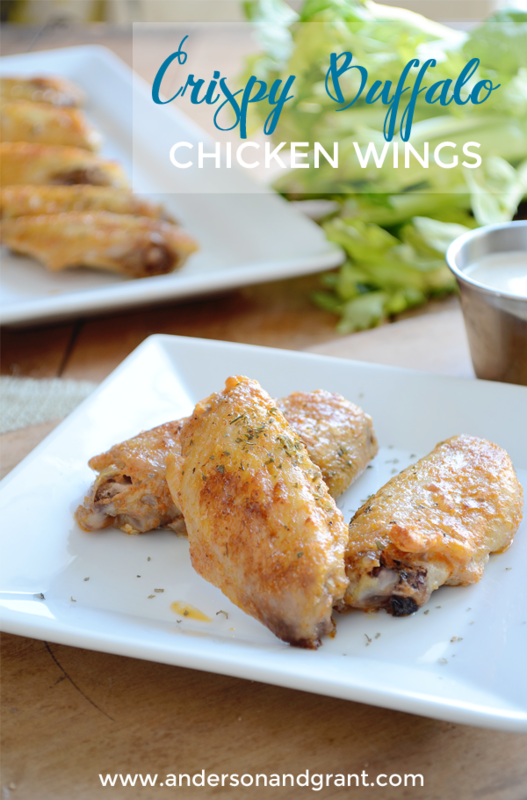 The key to this recipe is the layers of sauce that are brushed onto the chicken wings (or ribs). And then five minutes under the broiler not only finishes the meat off, but turns the sauce into a crisp layer of flavor. And if you're a lover of hot buffalo heat, feel free to add more hot sauce than I've recommended in the recipe. Try it once as written and then adjust from there according to your taste preferences. 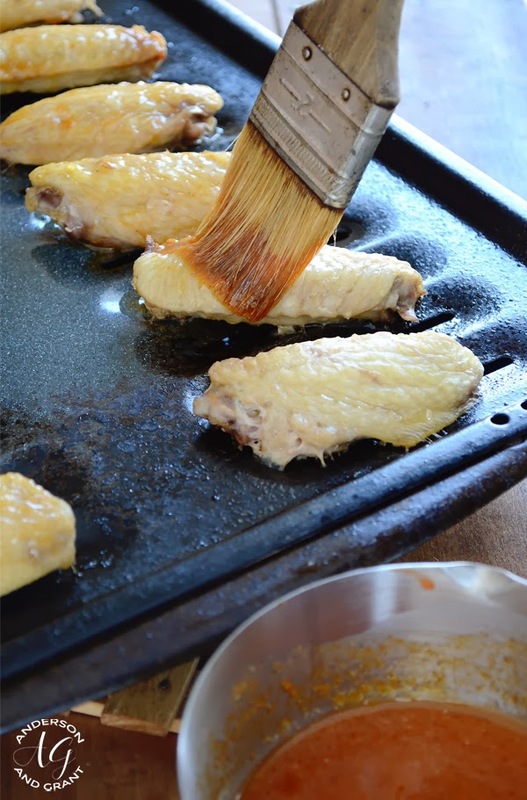 Cook your wings until they are almost done in a 400 degree oven. This should take about 25 to 35 minutes and the juices of the chicken should run clear. 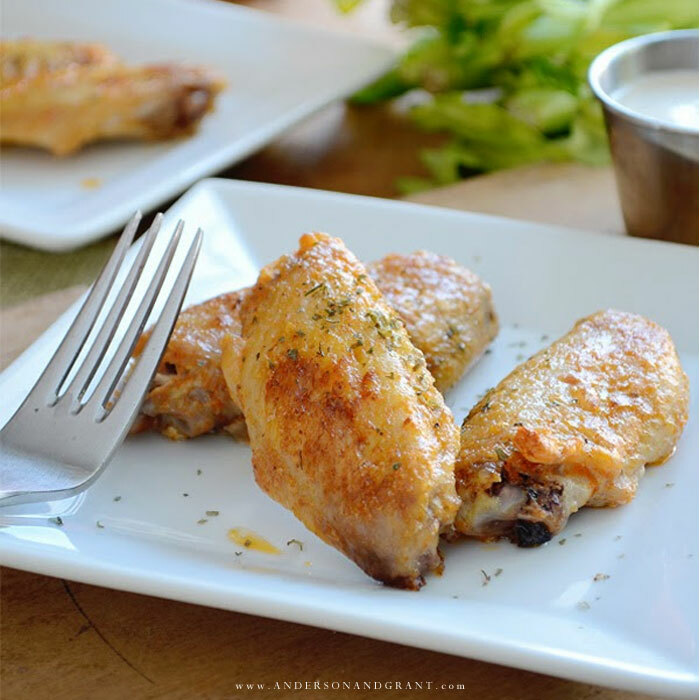 While the wings are cooking, mix the melted butter, hot sauce, salt, and cayenne pepper to create the sauce. 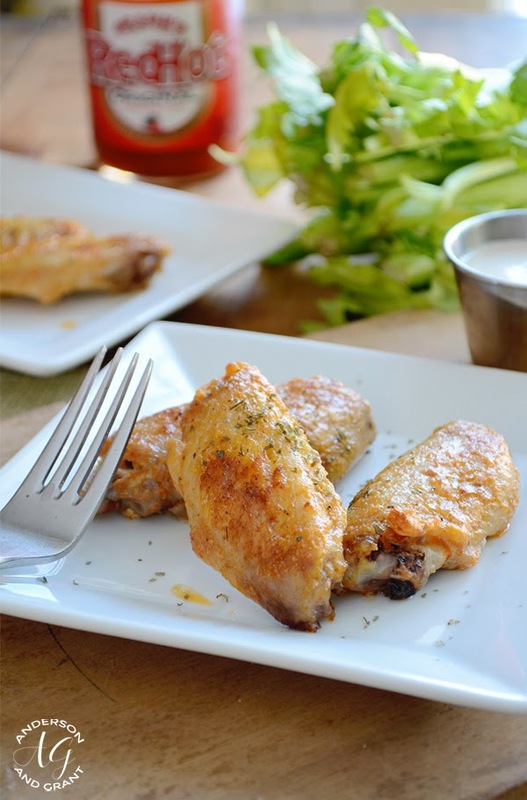 When the wings are almost done, brush the sauce on both sides with a basting brush. Put them in the oven for one minute, then take them out and brush on more sauce. Do this every minute for five minutes to give a good coating of sauce on the wings. After five minutes, put the wings under the broiler for another five minutes or until the sauce has formed a crispy coating on the wings. Serve the wings with some blue cheese or ranch dressing and some celery......Enjoy your delicious treat! And as I said, this recipe can be done the same way on ribs....just adjust your cooking time and temperature! Bacon and Ranch Cheese Ball - So good!! !